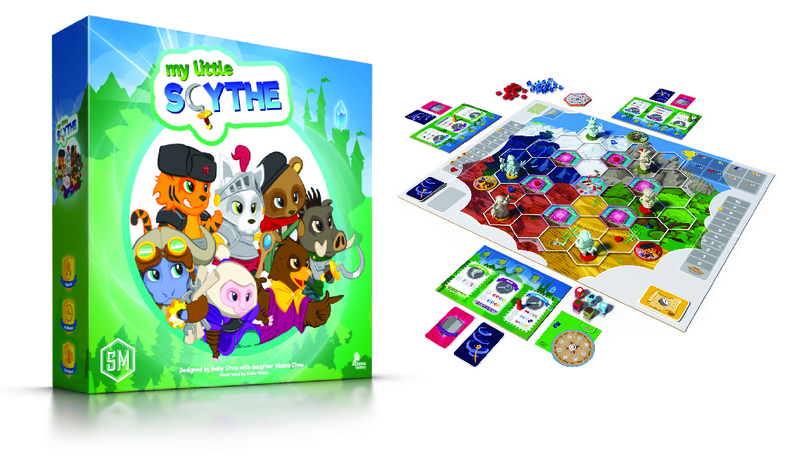 My Little Scythe is published by Stonemaier Games and can be found here. 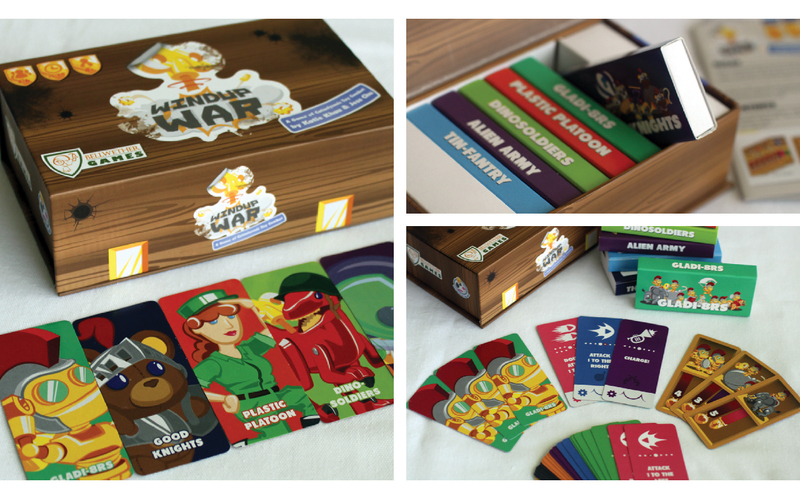 Windup War is an adorably toyetic card game of programmable actions and simultaneous combat. With six different units per faction, each with unique weapons, there are dozens of configurations as players play generals leading on their toy army. 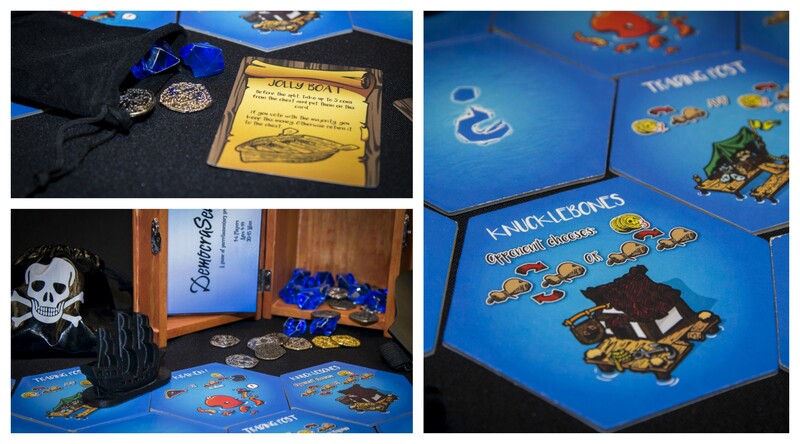 Windup War is published by Bellwether Games and can be found here. 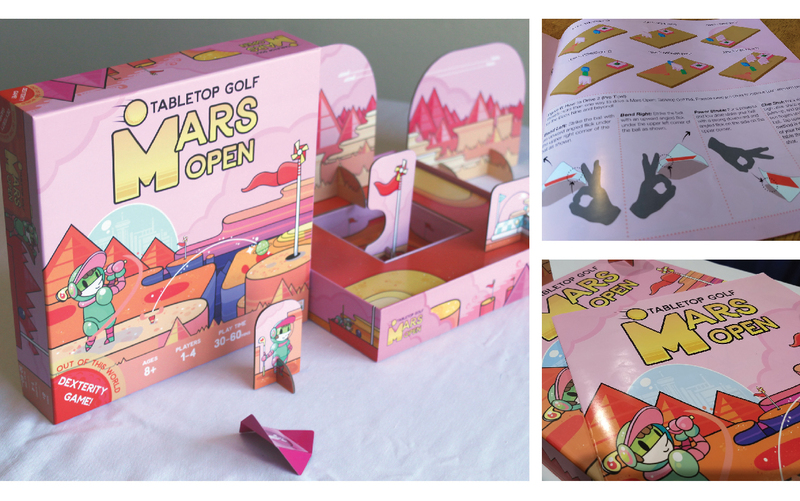 Mars Open: Tabletop Golf is the Flick-able Golf Game! Flick your golf “ball” card over obstacles and toward the crater hole box. Land your ball in the box in the fewest strokes possible. Reassemble the obstacles into the next hole and tee-off again. The winner is the player with the lowest score after nine holes. 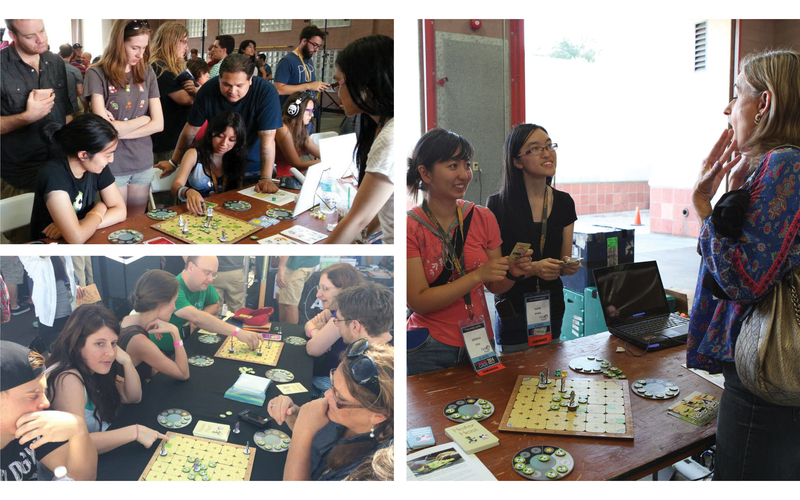 Mars Open is published by Bellwether Games. 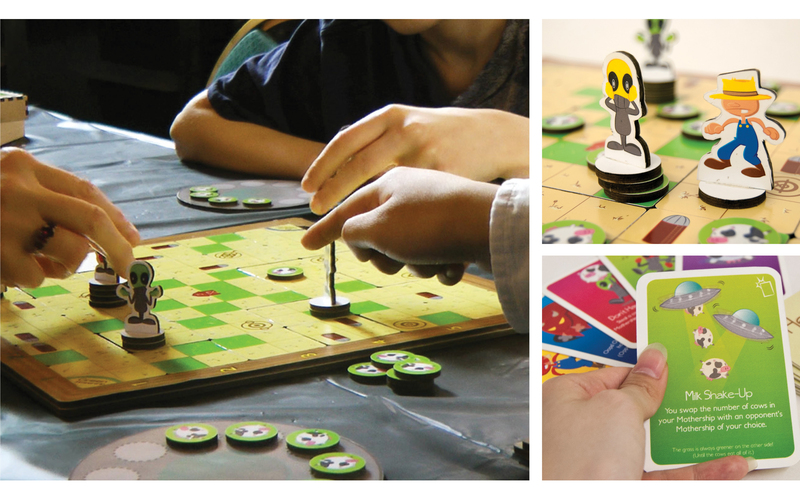 A family friendly board game that gives a spin on the classic alien-cownapping tale. The farm is a set of tiles, initially upside down, which are revealed as the players progress. The players must guide the aliens through the farm, collecting cows and returning them to their own ships while dodging the farmer and race to be the first to gather 10 cows and escape. DemocraSea is a game of parrrlimentary procedure. Pirates take turns sailing the sea. They gather loot, and vote on how best to split it “fairly.” Gain as much money as possible. The pirate with the most loot at the end of the game wins. 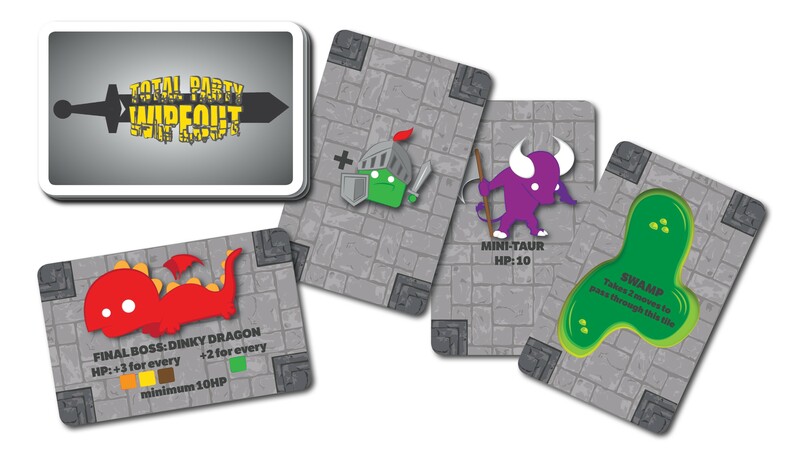 In Total Party Wipeout, you are a team of novice adventurers on a quest to gather loot and slay the evil dragon in the cave! But the dungeon twists and turns beneath you and you are hopelessly lost! 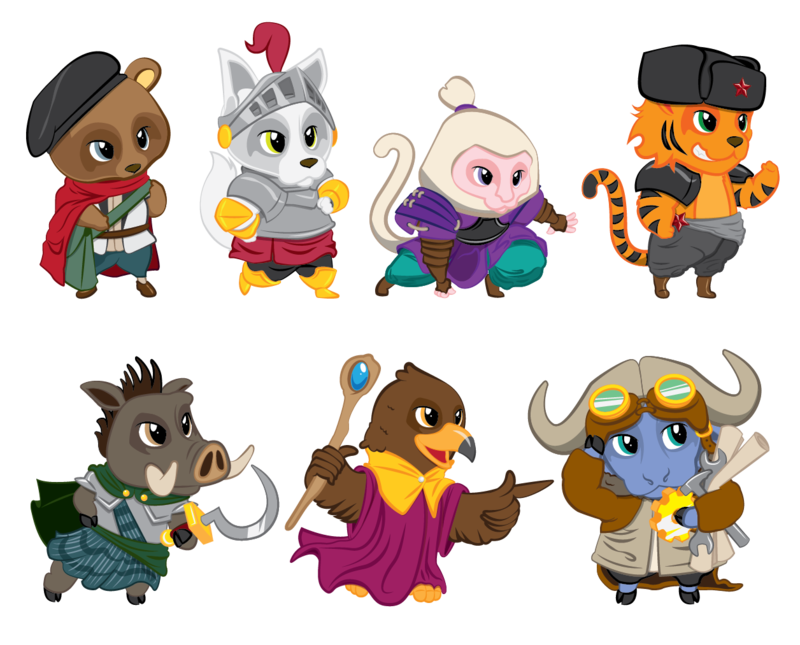 Pick up new party members along the way! Upgrade your party members as you wander the cave, picking up treasure and seeking out the dragon! The first player’s team to defeat the dragon emerges from the cave, victorious! 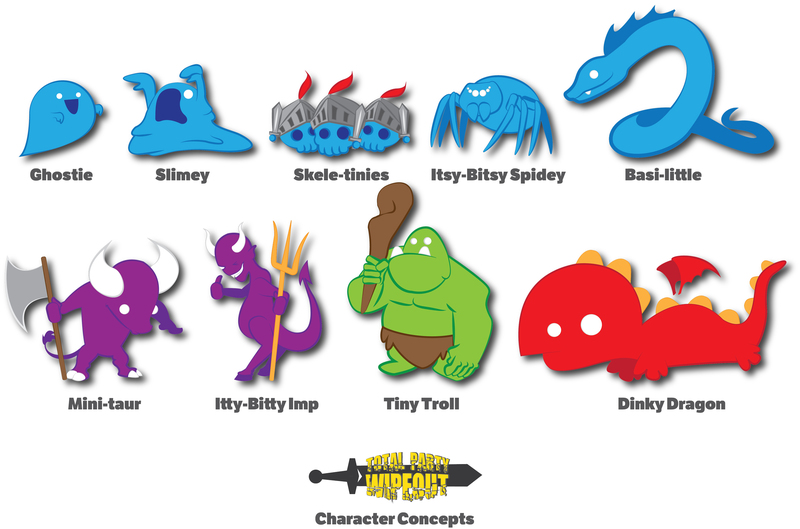 But watch out for monsters guarding the loot – lose your entire party, and you’ll face a TOTAL PARTY WIPEOUT!